Shopian firing incident: Death toll climbs to six - Integration Through Media ....! SRINAGAR: The situation in South Kashmir's Shopian district was tense after the police today recovered two more bodies, raising the death toll in last night's firing incident on a vehicle to six. “Two more bodies were recovered in Shopian district this morning,” a police spokesperson said. Police recovered the body of another militant, identified as Ashiq Hussain Bhat of Lashkar-e-Taiba, seven km from Pahnoo where the Army had fired upon two vehicles when they tried to flee from a Mobile Vehicle Check Post. They also fired on the Army and policemen, officials said. Bhat was a resident of Rakh Karpan. Besides this, body of a civilian — Gowhar Ahmed Lone of Chitragam in Shopian — was recovered from another vehicle near the firing incident. The Army alleged that he was an overground worker of militant groups. 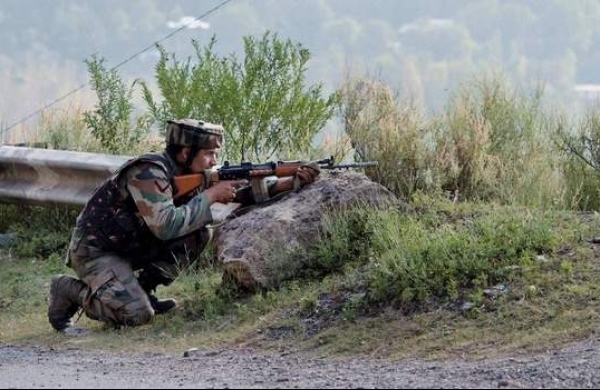 A Lashkar-e-Taiba (LeT) militant and three civilians, also alleged to be overground workers for the militant group by the Army, were killed in a firing incident last night in south Kashmir's Shopian district after the ultras fired upon a joint check-point of the security forces. A police official said a joint MVCP (mobile vehicle check post) near Pohan in Shopian had signalled a car to stop, but it did not. The Army men were fired upon and they retaliated, in which a militant was killed. Police rushed to the spot and identified one of the deceased as Amir Ahmed Malik, who had joined the LeT militant group in July last year. Bodies of the others were handed over to their legal heirs, a police spokesperson had said. “Weapons have been seized and legal proceedings initiated,” he said. Police personnel were deployed in large numbers to keep a strict watch in militant-infested Shopian area, besides other parts of the Kashmir Valley as separatist amalgam — Joint Resistance Front — has given a call for bandh today. Schools and educational institutes, which were to open today after two-month-long winter break, were closed as a precautionary measure in the Valley.